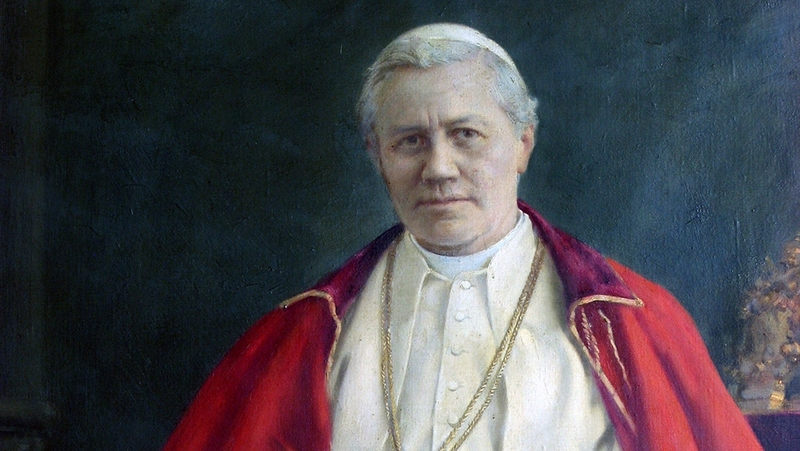 The history of the Society of St Pius X (SSPX), just like the history of the Catholic Church, is a beautiful mystery. Both of them have flourished in the midst of many contradictions and uncertainties. From the time of its humble beginnings, the SSPX has grown exponentially and today proclaims the faith throughout the world. Archbishop Marcel Lefebvre, in response to the repeated requests of some young men interested in a traditional priestly formation, founded the Priestly Fraternity of Saint Pius X on 1 November 1970. At the time, he was 65 years old. He had previously served the Catholic Church as apostolic delegate in French-speaking Africa, as Archbishop of Dakar, and as superior general of the Holy Ghost Fathers, one of the greatest congregations of missionary priests at that time. Read more at our link founder. Eleven young men began their studies under the direction of Archbishop Lefebvre at a new seminary in the Econe, Switzerland. The Bishop of the diocese of Fribourg was convinced that the new seminary would bring many benefits to the Catholic Church and soon gave his official approval. In addition, Cardinal Wright, prefect of the Sacred Congregation for Religious, praised the “wisdom in the norms of the statutes of the Fraternity” in a letter which bore the date of 18 February 1971. Nevertheless, the purpose of this new priestly congregation was misunderstood by some, including by leading prelates in Rome. Many thought that the old Archbishop was in a state of rebellion against the Pope because he only allowed the former Latin rite of the Mass in his seminary. On the contrary, however, Archbishop Lefebvre insisted on the respect and honour due to the Holy Father, and that he was only continuing and uninterrupted Catholic tradition. He loved the Tridentine rite of the Mass and he knew by his own experience how beneficial and crucial it was for the formation of holy priests. Besides this, he knew that the Tridentine rite had never been suppressed, despite the fact that a new vernacular rite was now permitted. Archbishop Lefebvre was also opposed to other modern tendencies, such as ecumenism – a point of view which considers all religions as being good and salvific; and collegiality, which insists that the church be directed primarily by a democratic process and by conferences of bishops, limiting the power of the Pope as the sole head of the Church, as well as the autonomy of each bishop in his own diocese. The firm stand of Archbishop Lefebvre on these questions was not pleasing to some of the Roman authorities, who wanted to see only the new rite of the mass, in the vernacular tongue, exist in a Church that would be more liberal and more modern. As a consequence, two apostolic visitors came to Econe in 1974 and made an official inspection of the seminary. Upon their departure, they were impressed at the high academic standards of the seminary and the evident piety of the seminarians. The only problem was that they did not see the new rite of the Mass celebrated during their time at Econe. They returned to Rome with a positive report for the Pope. In spite of this favourable report, Archbishop Lefebvre was soon called to Rome and was interviewed by three cardinals. One week later, the new bishop of Friboug suddenly suppressed the SSPX, on 6 May 1975. Astonished, Archbishop Lefebvre lodged an official appeal and asked for the reasons which led to such a drastic measure. He did not receive any response, either from Fribourg or from Rome. What’s more, Archbishop Lefebvre was suspended ab ordinum collatione – from ordaining deacons and priests – and later a divinis – from all sacred functions, including the celebration of Mass. Confused by this abrupt suppression and the inexplicable silence, the Archbishop decided that he should continue fulfilling his duties as rector of the seminary at Econe. In the end, he was convinced that canon law stipulated that such a suppression and suspension would not take effect as long as the official appeal had not yet been resolved, and with greater reason as long as it remained without any reply. That summer, he ordained priests as usual. At the same time, he took his seminarians on a pilgrimage to Rome as a gesture of goodwill. The SSPX, in spite of its apparent suppression, grew rapidly. New seminaries were opened in Germany, the United States, Argentina, and Australia. Religious brothers and sisters, along with lay members of the Third Order have joined the ranks of the SS PX in ever greater numbers. By 1987, the SSPX had extended its apostolate to all the continents of the world. Archbishop Lefebvre, in spite of repeated but ultimately unfruitful negotiations with Rome, decided in 1988 to consecrate four new bishops who would be at the service of the SSPX and its faithful. In response, the Pope issued an official document excommunicating the Archbishop along with the four new bishops. This was something which profoundly saddened the Archbishop, but he firmly believed that he could not, and conscience, have acted in any way other than he did and that he was obliged to take the necessary steps to preserve the SSPX and its apostolate in the world. Just three years later, Archbishop Lefebvre died on 25 March 1991. The SSPX continues its apostolate, after the death of its founder. In 1994, Bishop Bernard Fellay was elected as Superior General, an office which he occupies to this day. During the Jubilee year of 2000, he led all of his priests, religious, and seminarians on a pilgrimage to Rome, wishing in this way to express his love and respect for the Holy Father. Pope Benedict XVI later decided to free the traditional Mass in Latin with a motu proprio issued in 2007 and entitled Summorum Pontificum. In 2009, he lifted the “excommunications” levelled against the four bishops of the SSPX. Today, the Priestly Society of Saint Pius X has more than 600 priest and around the half-million faithful, spread throughout the world, courageously continuing its apostolic work. To learn more, visit the official page of the General House of the SSPX. Our patron saint pointed out the dangers of certain new theological methods which attempt to strip the Faith of its objective, absolute, and immutable truth.